Micro Features: The design features a 0.009″ (0.23 mm) wide webbing. Description: The shape-memory material allows the “flower” to collapse or spread, as shown. 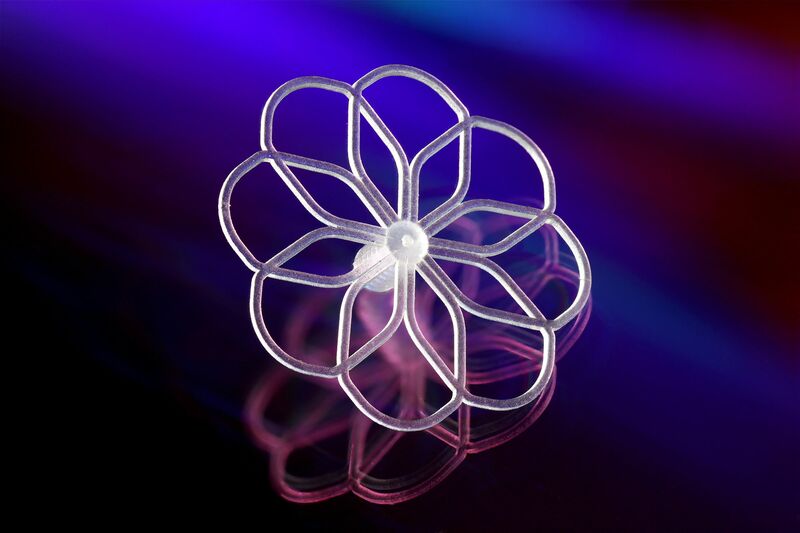 This “flower” device, which is a catheter tip ablation head, demonstrates the need for MicroFlow and MicroFill micromolding technology. The challenging part design features long, looping channels that create multiple intersecting flow paths. Preventing one or more of these channels from prematurely solidifying and causing a “short-shot” is only possible with the right micromolding equipment.